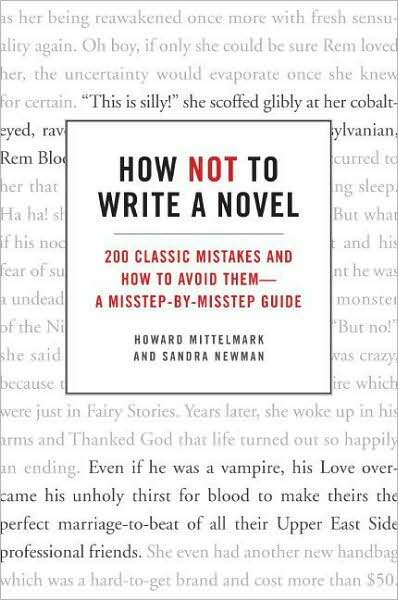 One of the ironies of writing is that we tend to read other writers’ guides on how to write. And we should, because there are some really good writing guides out there. It’s important to have guides on hand to grammar and punctuation, guides that help us figure out infrastructure, and tips that we can implement in our own writing to take our games to the next level. And then there are inspirational writing guides that can make you feel warm and fuzzy after you’ve had writing issues. So here are a few of my suggestions. For mystery writers, check out Chris Roerden‘s Don’t Murder Your Mystery (that link will also show you another of her great guides, Don’t Sabotage Your Submission). The tips in that book you can use for other genres, as well. Looking to write more descriptively? Try Rebecca McClanahan‘s Word Painting. It includes instruction and exercises, as well as examples from the masters, classic and contemporary. Stephen King’s On Writing. It’s already on its 10th anniversary. Part memoir, part guide, this handy toolkit will address just about everything you need in your bag o’ writing tricks. The fundamentals, my friends. Plus, it’s a warm, intimate look at King’s early life and how he himself approaches writing. But don’t just listen to me. Go check out the link. Natalie Goldberg, Writing Down the Bones (originally published in 1986, but it was updated in 2005). This is sort of a “Zen and the art of liberating your inner writer” kinda book. Might not be everyone’s style, but it’s a different approach and delves into creativity and its potential spiritual elements. Strunk and White, The Elements of Style. It does not matter that this book first started life as an in-house writing guide for college students in 1918 by Cornell’s William Strunk. Nor does it matter that this pup got new life in 1959 when E.B. White revised Strunk’s 1935 edition. It’s freakin’ timeless, this book, and addresses things like the most misspelled words, common word usage errors, and proper punctuation. The book does have its critics, but it’s a nice brick to have in your writing framework. Also get on over to Keith Cronin‘s recent blog over at Writer Unboxed to see his list of suggestions for writing guides. We overlap in a couple of places, but that’s okay. I like his list and I’m going to take his suggestions on a couple of things. And here’s a list by Jon Winokur over at HuffPo (from 2010, but that’s quite okay). Hopefully, that’ll get you started. Happy reading, happy writing! More author interviews coming up at Women and Words! OMG this week has been crazy bizzy. But don’t worry! The Summer Blast Tour has morphed into the Fall Fiesta Tour over at Women and Words, so check in on Fridays for fun n’ games and GIVEAWAYS! YES! This Friday, author Mary Vermillion stopped by to chat about her series starring radio host/sleuth Mara Gilgannon. Mary sets her mysteries in Iowa (which I think is super groovy). She also has a secret (okay, not so secret) identity as a professor of English and she teaches way cool classes like Law and Literature. So come on by! 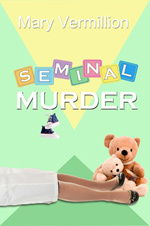 She’ll be giving away a copy of her latest, Seminal Murder. Here, Mara tries to solve the murder of her friend, Dr. Grace Everest, who was killed right in her own fertility clinic. She and Mara were working on a radio series together about artificial insemination, but someone is out to stop her. Is that someone the person who also killed Grace? Is it the reverend who’s been campaigning against the clinic and the radio station? Is it the person Mara’s buddy Vince invites over to their shared home? Or is it somebody else? And why do lesbians have a particularly low pregnancy rate at Grace’s clinic? Come on by Women and Words on Friday and put your name in the hat to win it and find out! So, I was thinking about the history of sleuthing/detecting in fiction/literature and I decided to do some digging. I’d heard of Anna Katherine Green, and I’d heard about her character, Violet Strange, who’s credited as the first female sleuth in fiction. But Green is also known as the mother of American mystery, and she’s credited as writing and publishing what’s known as the first American detective novel, The Leavenworth Case, in 1878 (image below). It’s available at Amazon, if you’re interested (reprinted, obviously). This book, featuring detective Ebenezer Gryce, was published nine years before the debut of Sherlock Holmes. If you’re a US writer (heck, a writer anywhere!) and not a subscriber to Writer’s Digest, try it. At least for a year to see how you like it. And if you’re a reader but not necessarily a writer, there are some FAB interviews with authors in WD. For example! The October 2012 issue of Writer’s Digest has this super-cool interview with international supah-star crime writer Patricia Cornwell, by Jessica Strawser. As those of you who are familiar with Cornwell are aware, her premier character is medical examiner Dr. Kay Scarpetta. If you’re not a subscriber, find someone who is so you can read it or buy the issue. It’s available in print, but it’s not available to non-subscribers online. If you purchase the digital issue online, I believe it gives you access to online content relevant to that issue not available in the print. Like the extended version of the interview, in which Cornwell briefly discusses gay characters and mainstream fiction in the online outtakes. I’ve been reading Cornwell off and on since Postmortem (1990) was released, and I’ve followed her career peripherally. One of the things that I really appreciate about her books is the extensive research she does for each one. It shows. And for crime writing, that is, I think, ultra-important. In the interview, she discusses her writing process, the boundaries she keeps, and how she approaches writing and forensics. One of the things I appreciated about the intro to the interview is the matter-of-fact way her marriage to psychiatrist Staci Ann Gruber is treated. It’s mentioned, and. . .that’s it. No OMG THE GAY CRIME WRITER freakout. A mention of her marriage to her, and on to a couple other pertinent details about her successful defamation suit against a writer who accused her of plagiarism then waged an online war against her character. So let’s have some more tidbits from the interview!